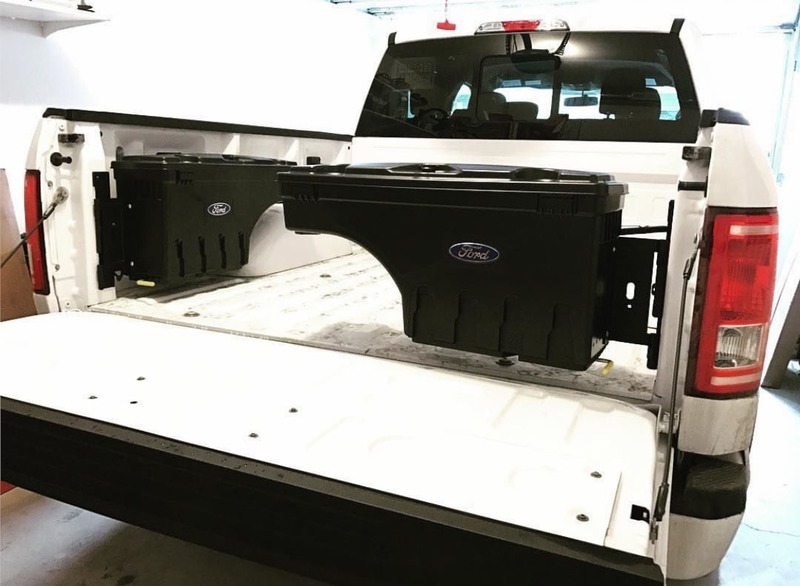 Recently sold my Weatherguard Full Size toolbox which I figured wouldn't do me any good any with the truck having a 6" lift. 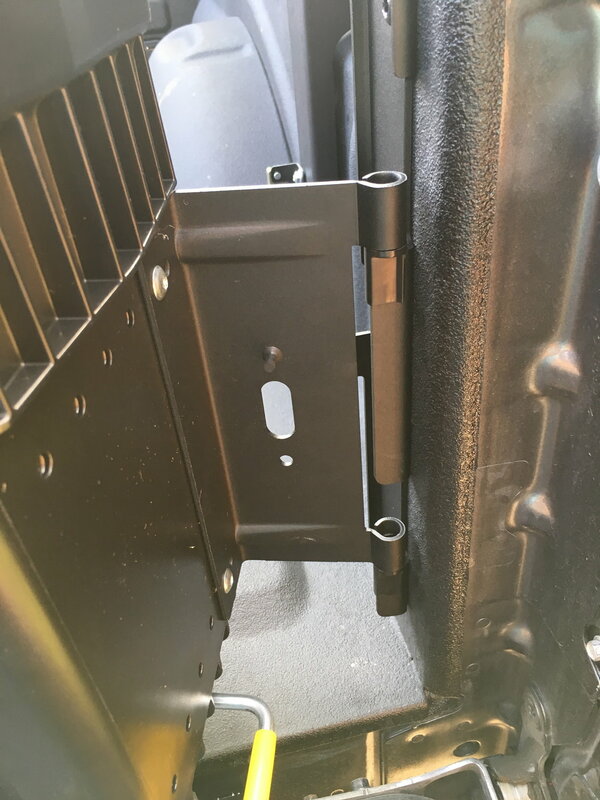 In its place I purchased the passenger side Swing Case made by Undercover. I decided to go that way because I still wanted to easily activate the in-bed LEDs. The LED is somewhat covered by the box on the passenger side now, but I'm sure I'll be able to live with that. Finish on the mounting plates is dead on to the existing BoxLink tie downs. Installation took me all of 20 minutes and I took my time to make sure alignment was right on the money. You'll need a #30 and #40 Torx, an 8mm and a 13mm deep socket (I used 1/4" drive, but a short 3/8" would work also) are also needed. 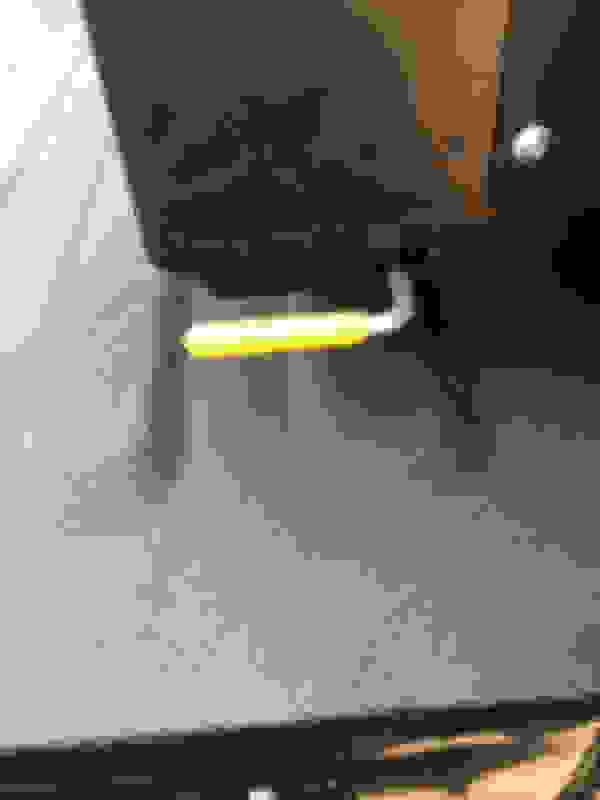 Remove the 2 mounting bolts (8mm) that hold the passenger taillight in place, pull the housing out and unplug the cable. 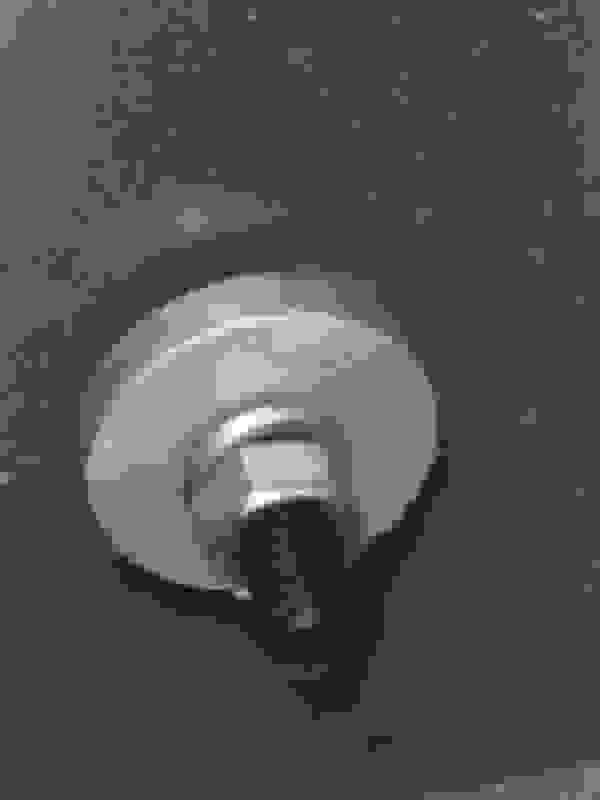 Install the center bolt (#40 Torx) along with a lock washer and nut (13mm) without tightening down yet. 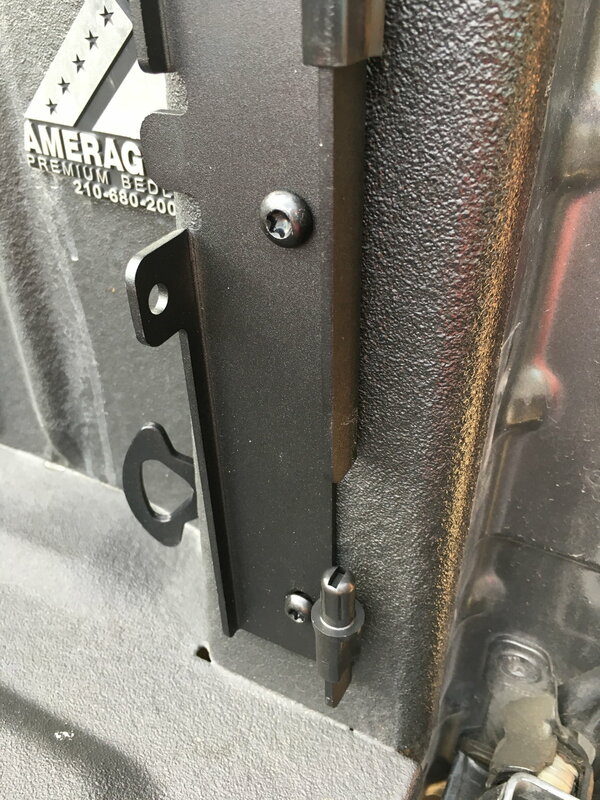 Install the upper bolt with an aluminum spacer, lock washer and nut, repeat for the lower bolt hole. 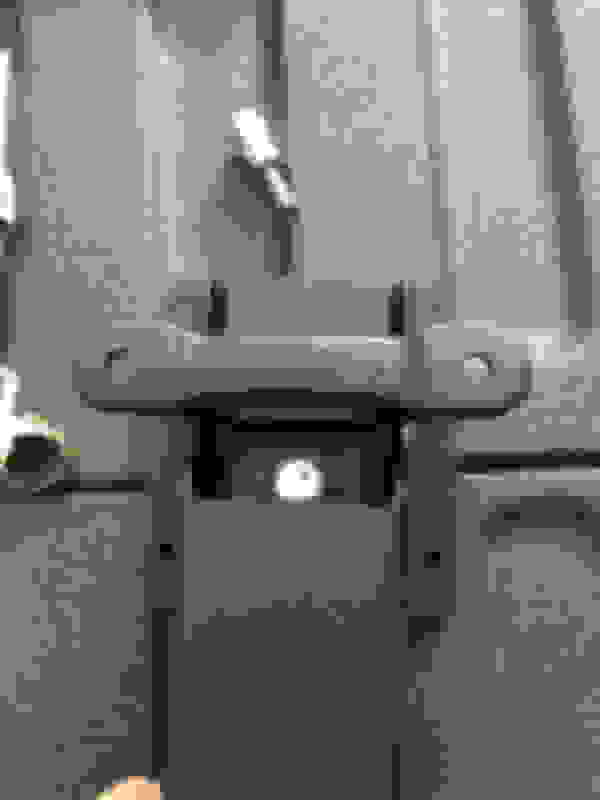 Do not fully tighten at this time, although the instructions tell you to do so. 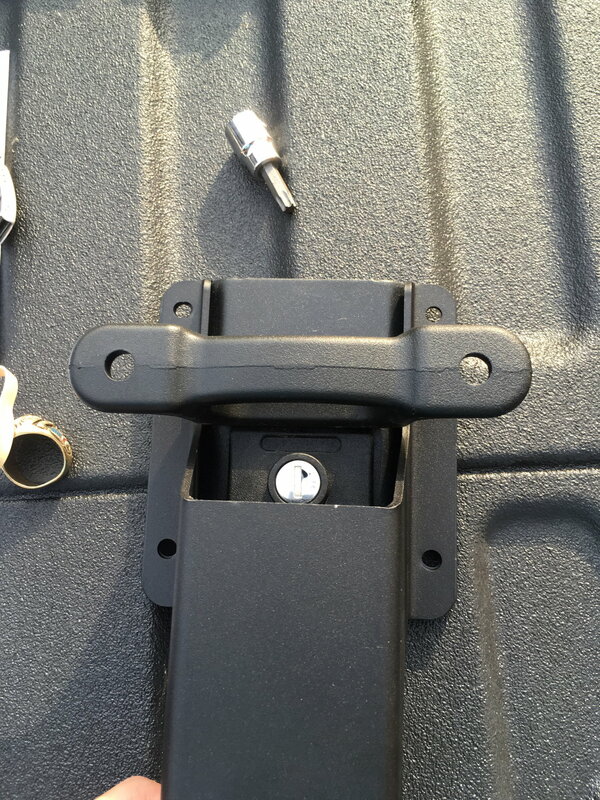 Remove the 4 mounting bolts (#30 Torx) that hold the BoxLink in place and lay the new latching bracket over it. Replace the 4 bolts and fully tighten. 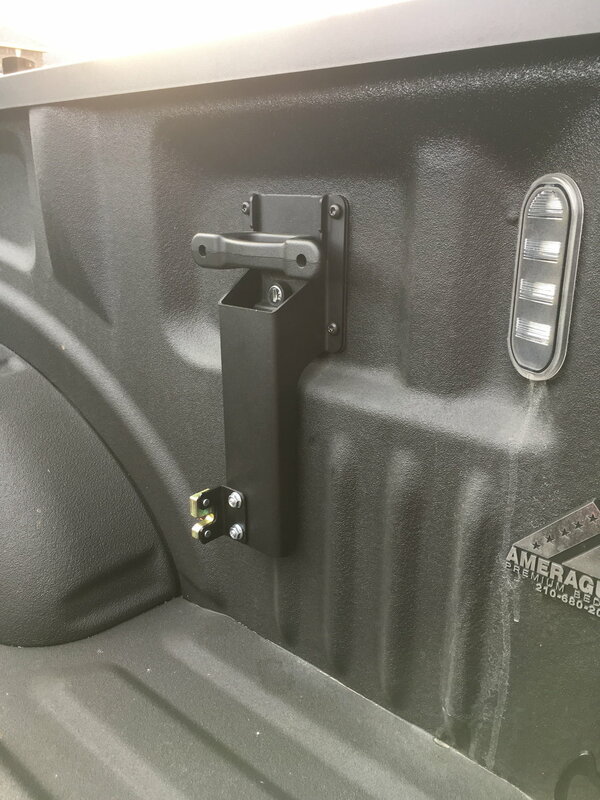 Slide the Swing Case over the mounting pins and latch it in. Tighten the upper and lower mounting bolts on the hinge mounting plate. Remove the Swing Case and fully tighten the center bolt. Viola, you're finished. 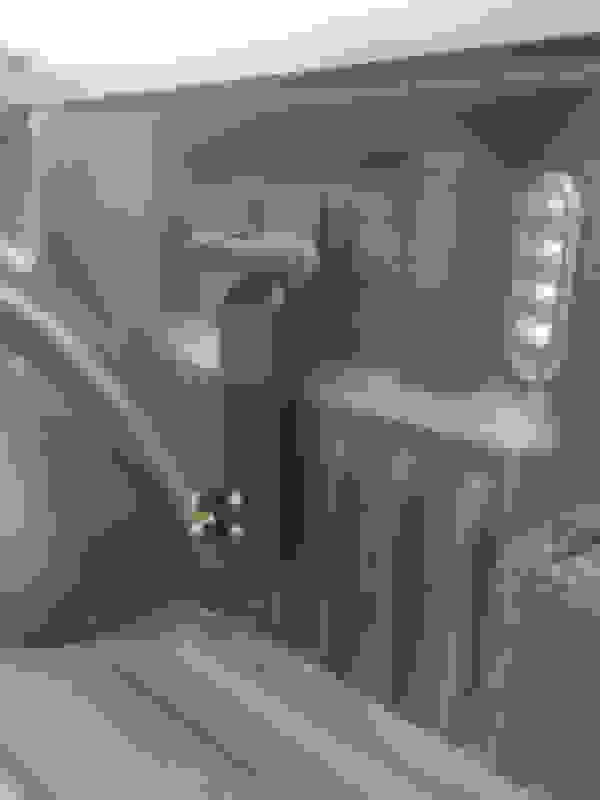 To give you an idea how close the finish of this is compared to the existing BoxLink. 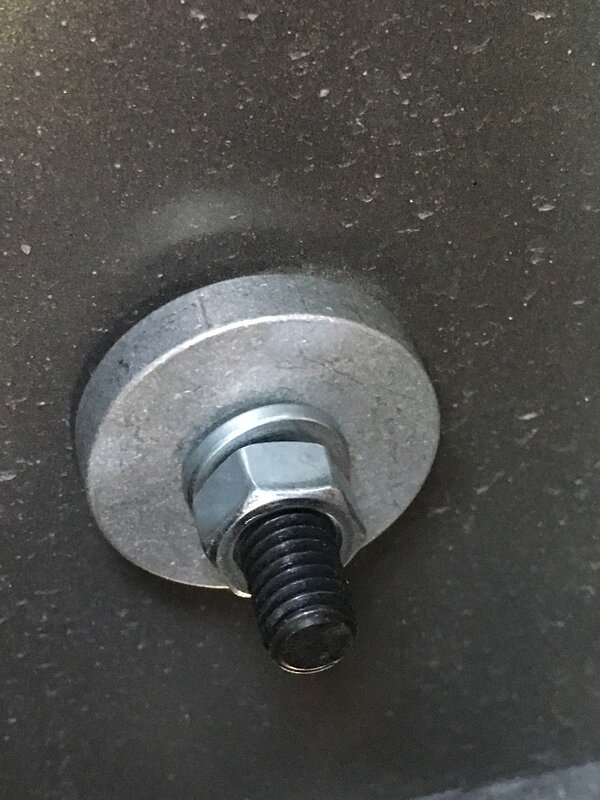 Center bolt, no spacer needed. 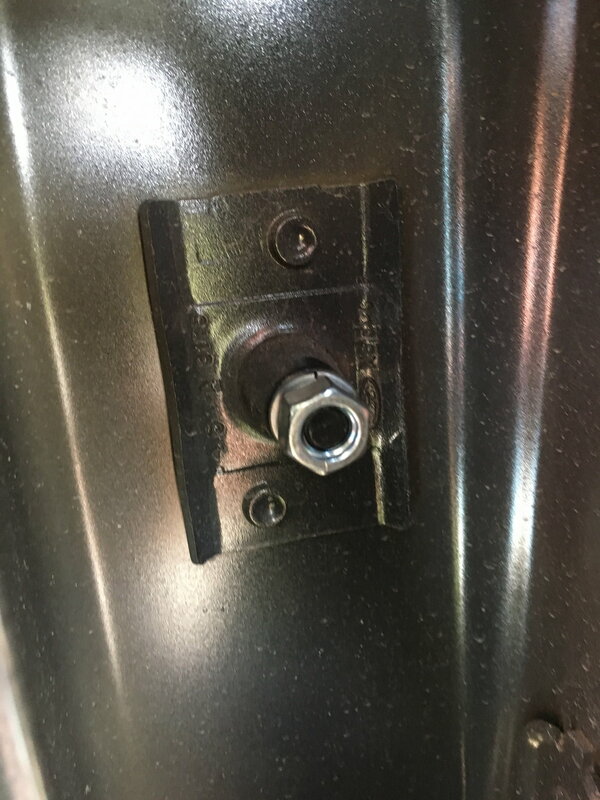 Aluminum spacer used on the top and bottom bolts. Last edited by ricky81; 11-24-2016 at 01:17 AM. Never thought about going the cooler route, but could see the ease in doing so. These swing cases are heavier duty than expected. 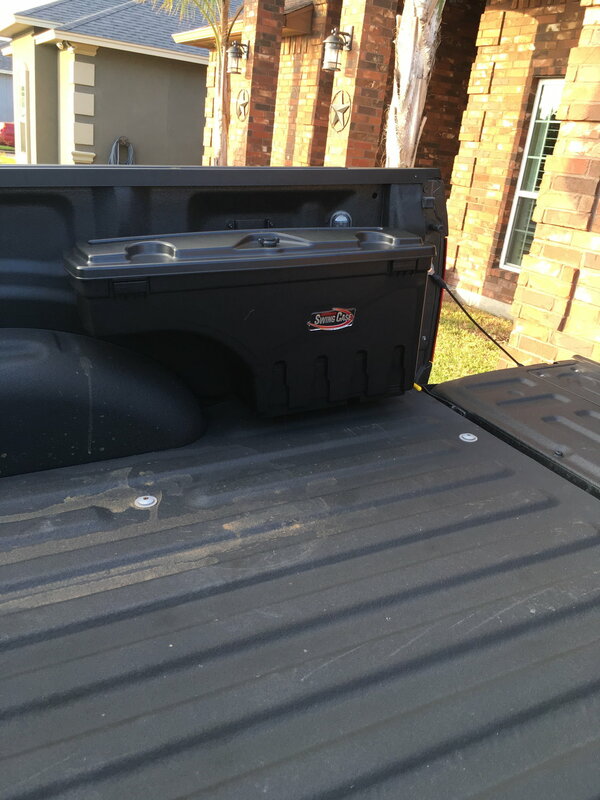 My father keeps over 60lbs in it at all times and it is used daily with zero issues. Great post gmcretz! I used your pics today - THANKS for the brief on tools to have handy! It took a few moments of discovery on passenger side, but had the driver side done in about 10 minutes. Pics in my profile album if anyone cares. Glad it helped you Bug! I'm really digging mine, I think I carried way to much BS in my saddlebox when I had that. I'm finding that the single passenger side swing case seems to be sufficient so far. Brought a pair of these used for next to nothing. I've only installed the passenger side so far. My install was a little more involved due to having a bed liner and required a good amount of cutting. Had a paid full price for the bed liner I may have gone another route but since I picked up the bed liner like new for next to nothing, I went to cutting. Would there be room haul a 4x4 quad in the bed with one of these? I was leaning towards this http://www.du-ha.com/70200_humpstor.html initially, but it looks as though it hangs quite a bit past the wheel tub. Love mine. Currently keeping tow straps, tie downs, a handful of towels, and a small air compressor in mine. My friend has a couple in his truck. Says they are cheaply made. Said if you squeeze the box at the lock it will pop open. Doesnt sound very secure for the expensive tools. Just what he told me as I was looking at buying a couple.